ANNOUNCE LO LA RU ALBUM TOUR THIS NOVEMBER & DECEMBER! 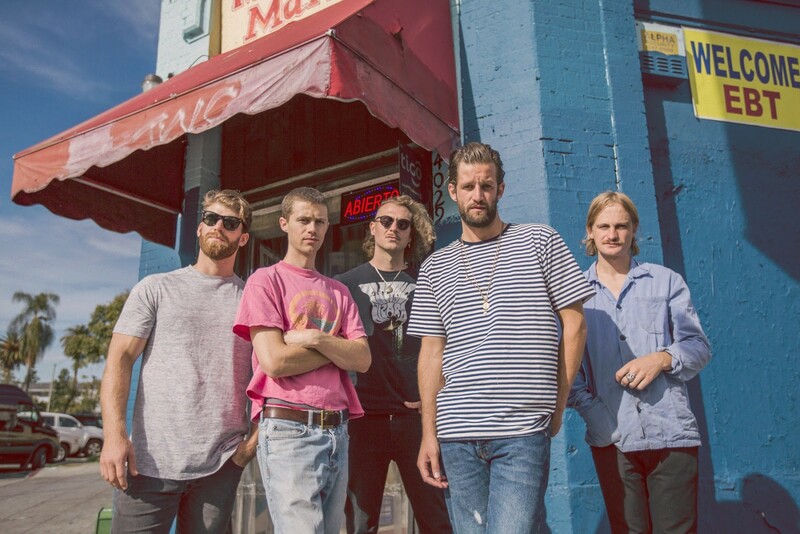 Frontier Touring are thrilled to announce Menangle five-piece The Rubens will perform for audiences across the country this November and December in celebration of their third studio album LO LA RU (out now via Ivy League Records). The tour will see the alt-rock favourites delight fans in Brisbane, Sydney, Adelaide, Fremantle and Melbourne as well as eight regional cities across Australia. 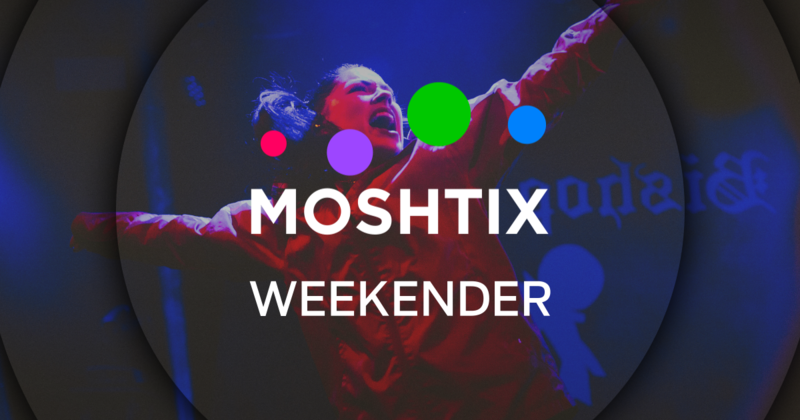 They will be joined at all headline shows by special guest Little May with an additional opening support act in each state to be announced via a triple j unearthed competition. 2018 has proven to be The Rubens' biggest year to date, releasing LO LA RU in June, undertaking a mammoth worldwide headline tour across Australia, New Zealand, the United States and Europe and most recently supporting P!NK on her massive 42-date sell out arena tour of Australia and New Zealand! Their bold and confident third album LO LA RU debuted at #3 on the ARIA Album Chart and has received praise from fans and critics alike. Recorded in a converted WWII bunker in their hometown of Camden on the outskirts of Sydney, the album was produced by Wilder Zoby and Little Shalimar (the co-producers of Run The Jewels 3) and pushes the band's sound into new territory. 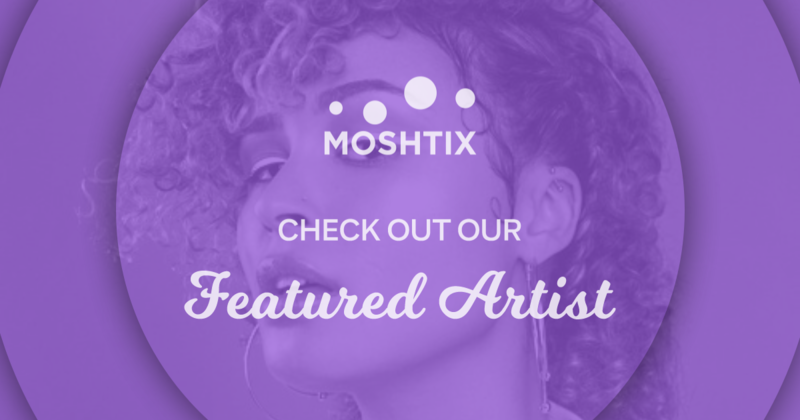 Drawing on RnB and hip-hop influences without losing any of the soulful warmth that fans have come to know and love about The Rubens, LO LA RU features exuberant party jam 'Million Man', heart wrenching hit 'Never Ever feat. Sarah' (now accredited Gold) and current track 'Freakout'. Fans can also expect to hear The Rubens delving into their impressive back catalogue from previous albums 'The Rubens' (Platinum ARIA Accredited) and 'Hoops' (Gold ARIA Accredited). Crowd favourites 'Hoops' (recently 3 x Platinum ARIA Accredited), 'Hallulejah', 'Lay It Down' and 'My Gun' are sure to be jockeying for setlist positions. 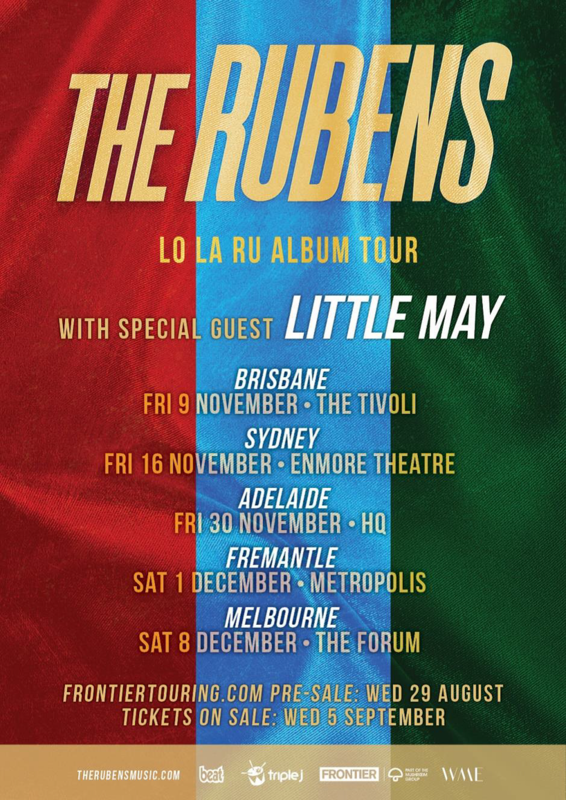 Joining The Rubens at all shows will be indie folk trio Little May. Formed in Sydney in 2012, Little May released their debut album For The Company in 2015, co-produced by Aaron Dessner of The National. With a number of standout songs including 'Boardwalks' and 'Hide', Little May are guaranteed to enchant audiences across the tour. 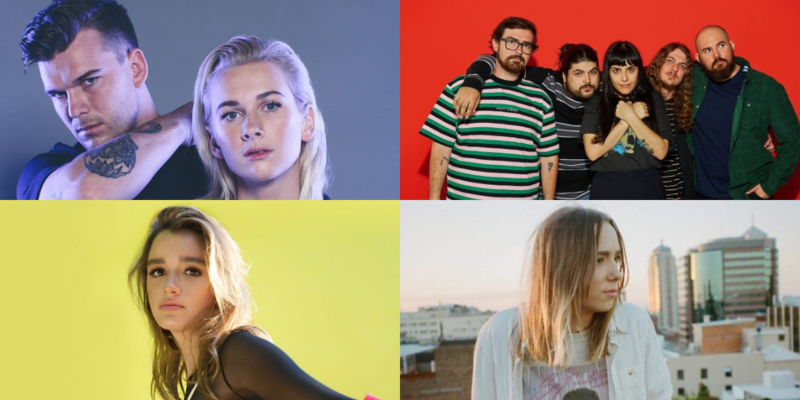 The Rubens have teamed up with triple j unearthed to select an additional opening support act in each state. Each winner will also sing the female part of The Rubens hit song 'Never Ever feat. Sarah' on stage with the band on the night. 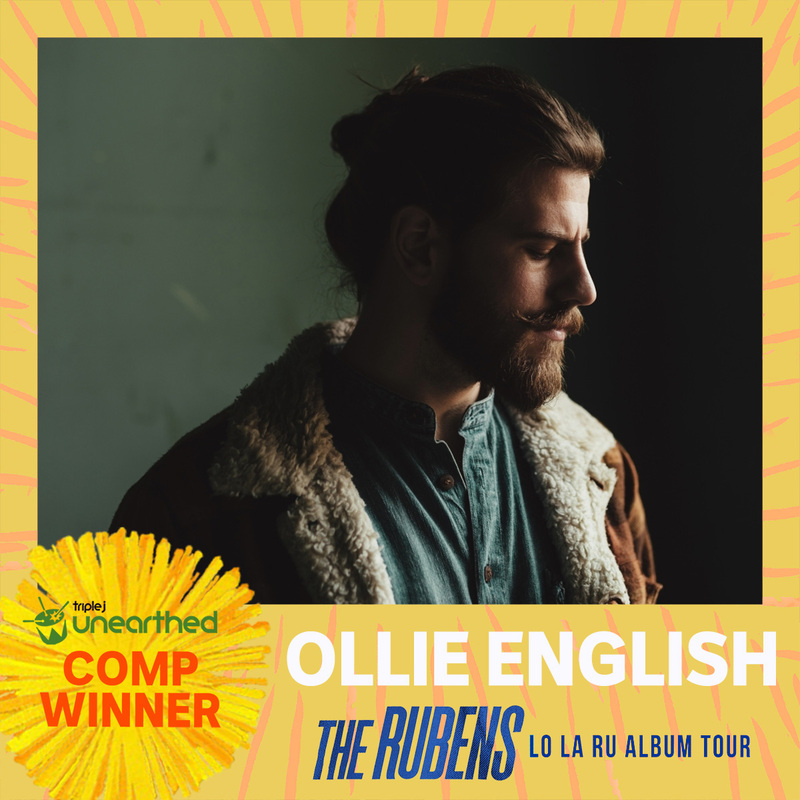 Head to triplejunearthed.com for details.